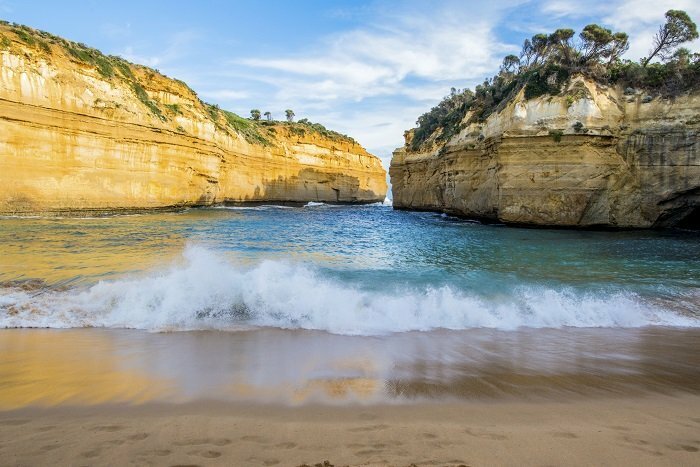 The Great Ocean Road is one of Australia’s most visited stretches of coastline, boasting an incredible amount of natural landmarks and magnificent sights. 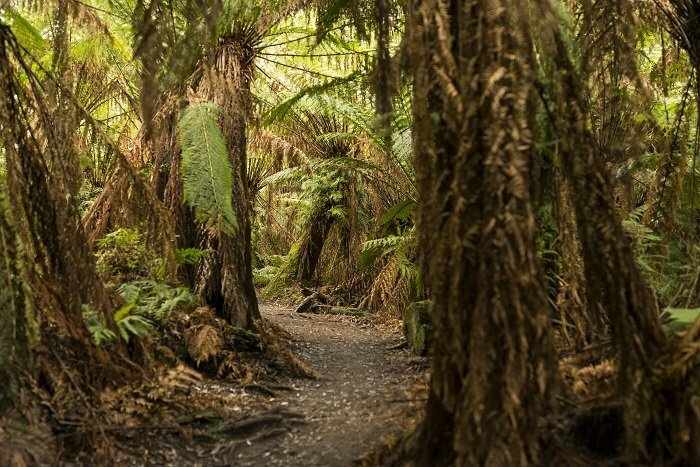 This tour will take you to some of the best stops en route, past breath-taking ocean views and lush rainforests. You’ll have the chance to stroll along pristine beaches as well as learn more about the natural history of the region. Please note: we do not carry infants under 2 years old on this tour. For those travelling with infants, we recommend our 1 Day Great Ocean Road Large Coach Tour. For more information about this tour click here. This tour is usually conducted on a Mitsubishi Rosa Deluxe or similar. 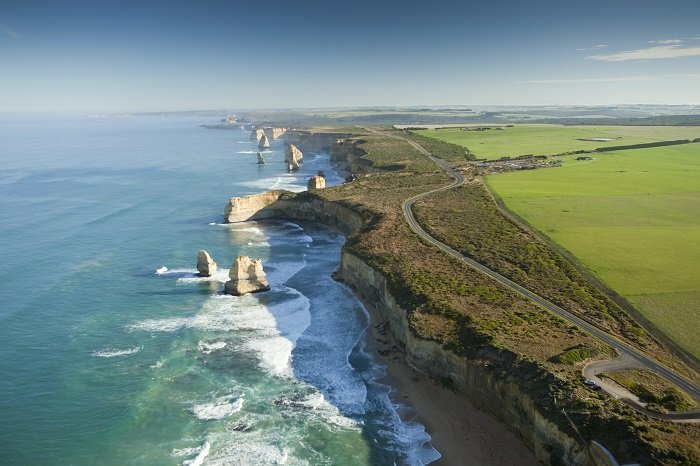 If you would prefer to travel on a larger coach with a bit more legroom, please see our 1 Day Great Ocean Road Large Coach Tour. Helicopter Flight: Take a helicopter flight over the 12 Apostles – Cost: $145 per person (15 minutes). Please note: helicopter flight upgrades are now only available on our Great Ocean Road in Reverse Tour. You can read more about the tour and book it with upgrade here. In the morning, we’ll stop off at a popular surfing beach to enjoy a complimentary tea before we head off to Memorial Arch. Here, you can snap some photos at one of the route’s most iconic landmarks. Then it is time for a beach stroll along one of the Great Ocean Road’s pristine beaches. Soak up the stunning sea views and feel the sand between your toes before we pass through the picturesque seaside towns of Lorne and Anglesea. 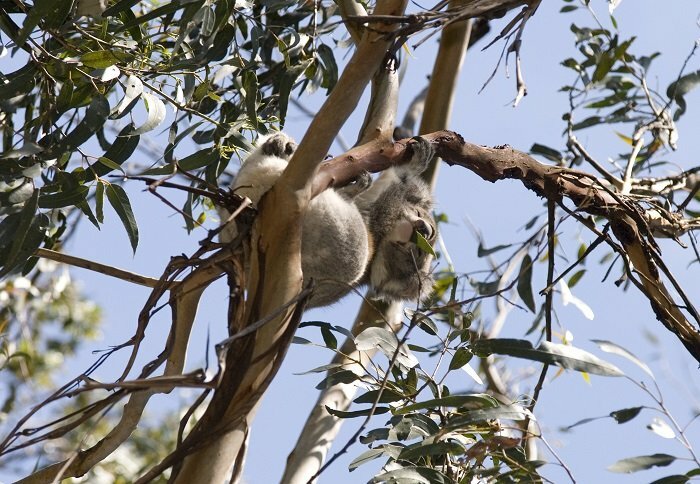 Next, we’ll make our way to a coastal town for an easy bush walk to hang out with the local wildlife and spot some cute koalas along the way. Keep your eyes peeled for the colourful birds that live here, including lorikeets, parrots, and the famous kookaburra. Lunch is in the beachside town of Apollo Bay, where you can tuck into local fare and refuel for an afternoon of incredible sightseeing. 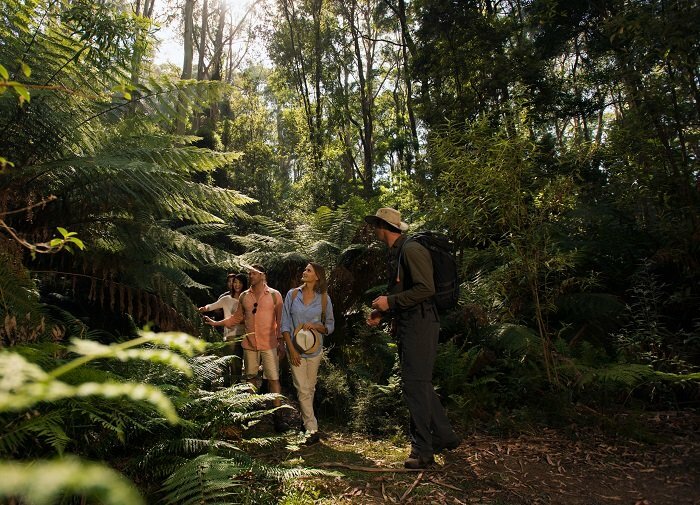 Firstly, we’ll stop at Otway’s Rainforest and take a guided bush walk amongst ancient trees and stunning forest scenery, before we head on to the 12 Apostles, one of Australia’s most famous landmarks. These limestone stacks form an incredible backdrop to the sea views, so be sure to bring your camera along. Afterwards, we’ll move on to Loch Ard Gorge, which is shrouded by impressive limestone cliffs. We’ll take a walk here and check out the local attractions, including the Archway, the Razorback, and Dumpling Pots. You’ll also get to learn about Australia’s most famous shipwreck while you’re here. Finally, we’ll move on to London Bridge or Gibson Steps, where you can take one final walk on the Great Ocean Road before we head back to Melbourne. Please note: during peak periods this tour may operate in reverse.